Premise: Victoria “Vic” McQueen has a special talent: she can use her bike and a bridge that isn’t there to find lost things. Unfortunately, Charlie Manx has a talent too. Vic is the only child to escape from Manx’s one-way trip to Christmasland, but it takes more than luck to break an evil man, and every power comes with a price. I thought this book was good, but I’m not sure I actually enjoyed reading it. The tone wasn’t quite my cup of tea, and it needed to be more tightly written. Some positives: Vic herself is a great protagonist. She’s broken and flawed in completely believable and sympathetic ways. She’s brave when she has to be, even if she has to talk herself into it. The talents are interesting. Broadly and only vaguely defined, they hint at much more out of sight. 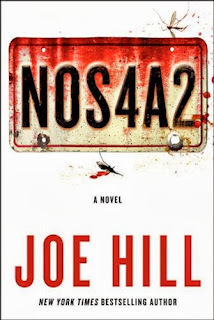 The writing is quite good: the descriptions of the supernatural and creepy as well as the mundane and everyday were evocative and often poignant. 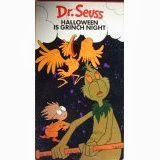 Halloween is Grinch Night was made in the late 70's, presumably in an attempt by Dr. Seuss to cash in on the popularity of How the Grinch Stole Christmas. It is in no way a great work of art, but it's nowhere near as bad as the last part of the "trilogy", The Grinch Grinches the Cat in the Hat. There's very little plot to this thing. Mostly, it's a series of Seussical rhymes and jokes (almost all of which are below the expectations we've formed for the good Doctor). The special focuses on a Who named Euchariah who gets lost on Grinch Night and runs into the Grinch. He allows the Grinch to subject him to various horrors in order to buy time until daylight.